In my last post, I talked about how Fitbit inspired our sales team to launch a new badge program. It's helped motivate our Account Growth Specialist team and to create competition on a daily basis, thus improving our team comradery, competition, culture, and results! Since that post, we've received a few questions about what the program looks like and specifically, what types of badges we use. Below you'll find an image of 10 badge and a description of how it's earned. This badge goes to the Account Growth Specialist who's received a perfect score on their client satisfaction survey. Among other things, this means the quality and quantity of leads they passed through exceeded the expectations of their client! The Account Growth Specialist that's earned the most sales funnel point throughout the last month is awarded this badge! 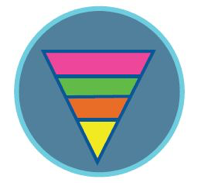 Funnel points are made up of key performance indicators like right party contacts, emails collected, confirmed leads, etc. Many of our clients come to us for help with sales list in hand, but others need our help generating one through online research and qualification calls. This badge goes to the Account Growth Specialist that has gained expertise in generating lists of prospects for Incept clients. When you're partnering with an organization to drive your sales activity, it's important to know that your team is going to be at work every day. This badge goes to Account Growth Specialists that have perfect attendance in a two month period. 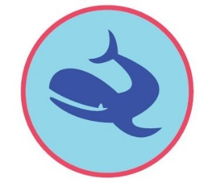 An Account Growth Specialist can earn this badge by setting up 10 whale-sized meetings for their client. 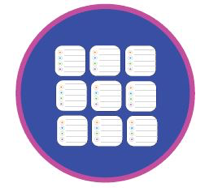 "Whale-sized" is somewhat subjective, so the Account Growth Specialist must document and submit proof of these 10 meeting to Incept management before earning this badge. At the end of the day, our clients care about quality leads. This badge goes to the Account Growth Specialist with the most confirmed leads in a given month. 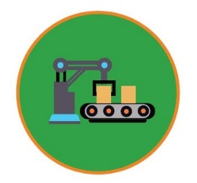 We work very closely with the manufacturing industry, so and Account Growth Specialist is able to earn this badge after completing 100+ hours on industry sales activity. 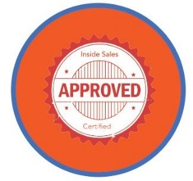 We also have several other industry-specific badges, including education, insurance, financial, and more. Some programs need line cooks, while others need chefs. For those Account Growth Specialists that have proved their abiltiy to create a successful program from scratch, this badge is awarded. They have the creativity and problem-solving skills to make things without a recipe. This is be awarded to any Account Growth Specialist that has passed training and been awarded their first client! 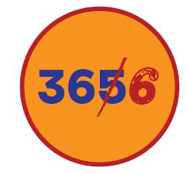 This badge can be earned at each yearly interval of employment with Incept – 6 months, 1 year, 5 years, 10 years, 15 years, 20 years.